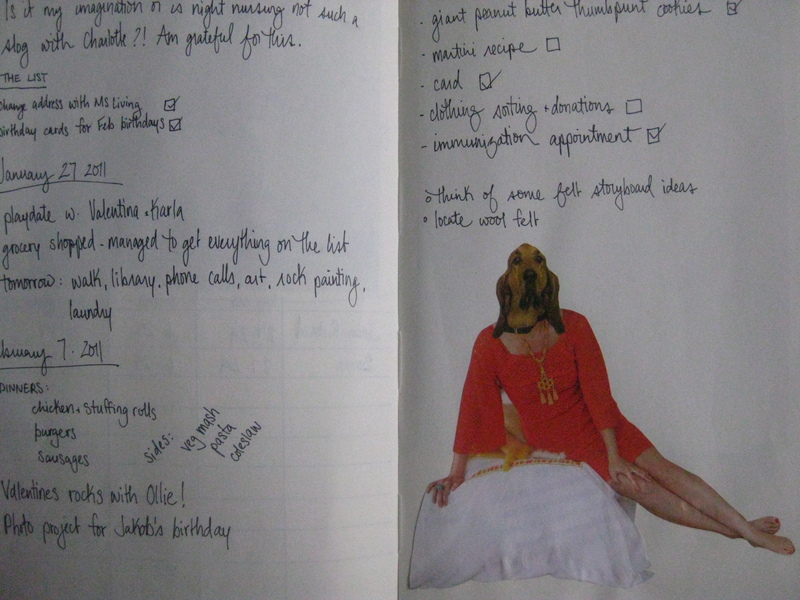 I love to keep a log book of activities, lists, hopes, what I'm grateful for - big and small. And funny little collages...even if they're for my eyes only. It's not the kind of journal that would make me blush if it was read through by a nosy family member - more of a log to remind myself that I in fact DO get things done! It keeps me accountable to my plans for the day or week. And it's fun to review, years later...somewhat of an adult growth chart. I've always liked the thought of a gratitude journal that focuses less on self indulgent topics. It's work to focus on something other than "navel gazing"!